Let Gizzmo show you just how easy it is to connect your components. Connect TV's to receivers... receivers to CD players... VCRs to TVs... You name it. Gizzmo has the right connection for you. Enjoy home entertainment to the fullest with the least amount of hassle. 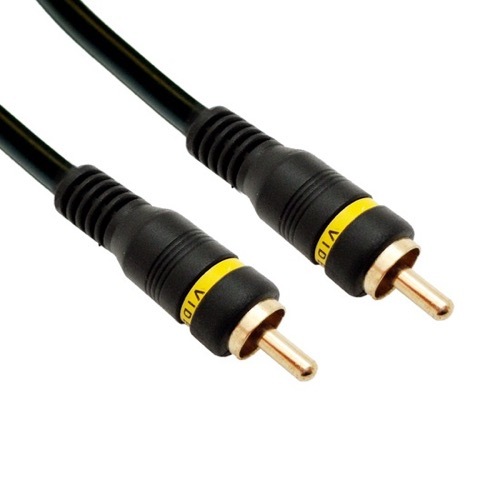 Gizzmo 6' FT RCA Video Cable with Gold Connectors. RCA Connectors for VCR / Camcorder to TV or A/V Receiver. Push-on gold plated connector for easy installation. Highest quality 75 ohm video cable for a sharp, clear picture. Molded connector with gold plated contacts improves the quality of the connection.